A Maryland father charged in the death of his infant son confessed to punching the crying infant until he was unresponsive, according to charging documents. The suspect and his wife then buried the baby, keeping his death a secret for weeks, charging documents say. The infant's grandmother reported her daughter, 24-year-old Geneice Petty, and her 3-month-old grandson, Antoine Flemons, missing Monday. 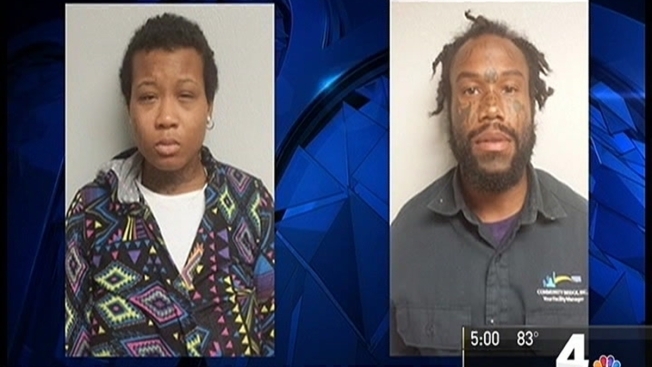 The woman told police the two hadn't been seen since Sept. 22 in the 8500 block of Greenbelt Road in Lanham, Maryland, police said. Detectives found Geneice Petty and 32-year-old Antoine Petty Tuesday. 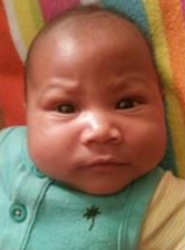 Antoine Petty punched the infant in the torso repeatedly Sept. 21 to stop him from crying, police said. Eventually the baby began bleeding and lost consciousness. The parents then placed the infant in their 1998 Lincoln Town Car hearse for more than 24 hours before burying the boy behind Parkdale High School to hide the crime, police said. They led detectives to a shallow grave in Riverdale where the baby's remains were located. Antoine Petty has been charged with first- and second-degree murder and other related charges and is being held on no bond at the Department of Corrections. Geneice Petty has been charged with accessory after the fact and is being held on $120,000 bond.